Tunnels have a complex geometrical structure. The cross section of a tunnel can vary along the curved profile and the ground of the tunnel is not flat (i.e. the tunnel has a "terrain profile"). Of course a single tunnel can additionally be split into multiple branches or some branches can be merged to a single cross section. The generation of databases to describe accurately tunnel scenarios is therefore very complicated. 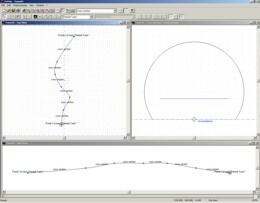 To simplify this task, the WinProp software suite offers the graphical editor TuMan to generate (and modify) tunnel scenarios. 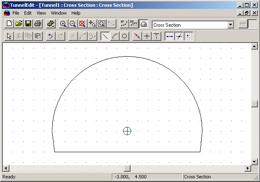 TuMan allows the definition of different cross sections within one tunnel. 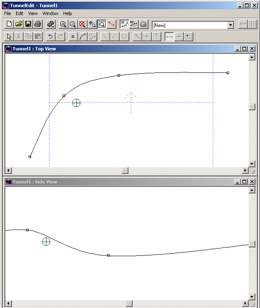 Additionally multiple curves with different radii can be defined to model the tunnel and its curved profile accurately. 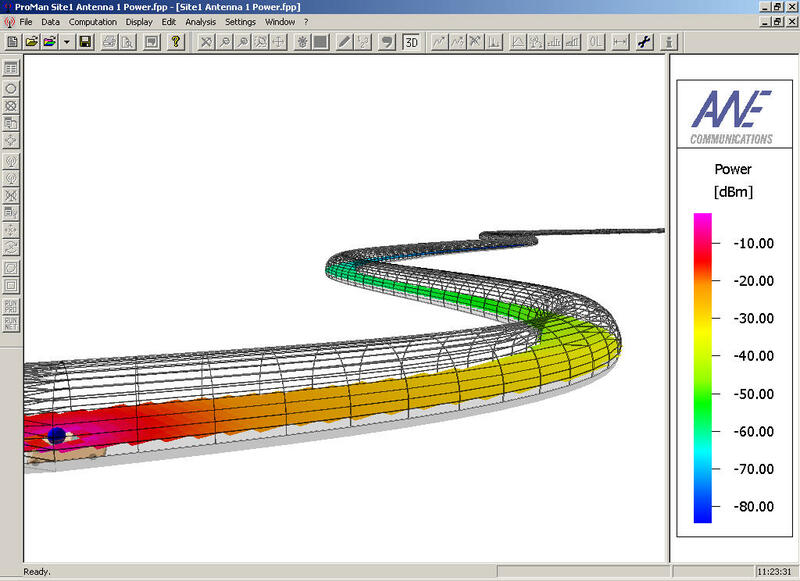 Of course the terrain profile inside the tunnel can also be defined in TuMan. The tunnels generated with TuMan can be exported into WinProp's 3D vector data format for further processing with WallMan. 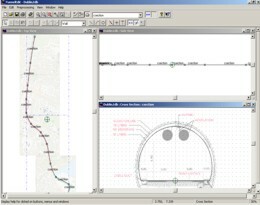 The CAD tools of WallMan can be used to insert further objects into the tunnel databases (e.g. cars, trains, signs, etc.) and they can be used to define the time-variant behavior of the objects. 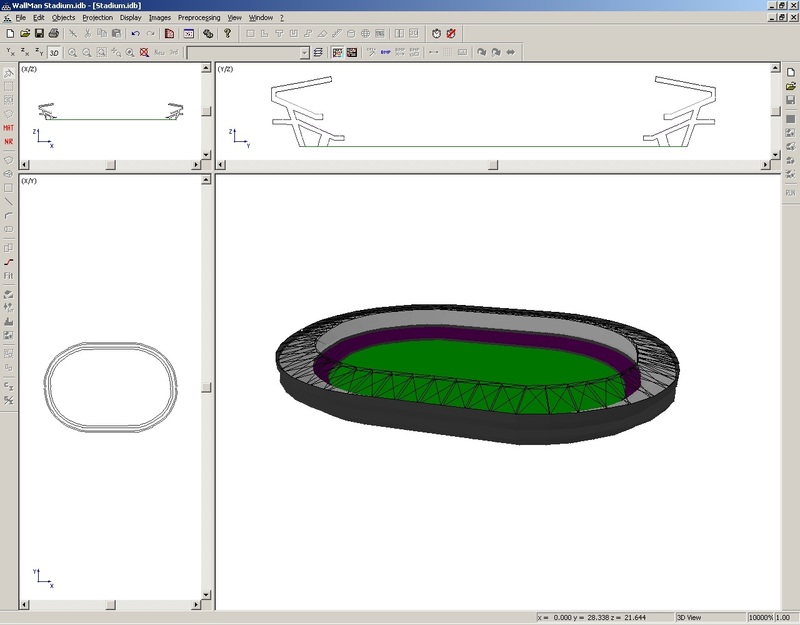 The database of the scenario generated with TuMan can be exported for further processing with WallMan to insert additional objects into the stadium or concert hall. 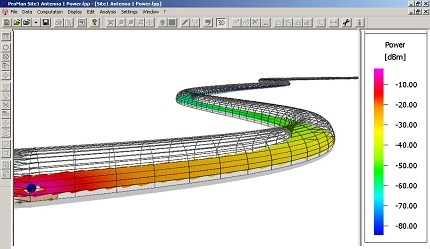 The tunnel propagation models included in ProMan's tunnel module can predict the propagation inside the tunnel. With the ProMan time-variant module it is additionally possible to consider the time-variant behavior of cars or trains inside the tunnel.